I'm a former city girl now living the country life. I'm also a mother to three grown children and four grand children. I started this blog just to prove that I could do it. Now, after several years of writing, the blog has become a part of my life. It has given me a chance to be published, to improve my photography skills, and to record parts of my life for my family to read. But, most of all, it has given me the opportunity to share with all of you who read my blog. My life, in the country, all started with an abandoned farmhouse, located on a hill in the Black Land Prairie of Texas. This included corralling sheep, feeding chickens, a guinea fowl, three barn cats, and two goats. 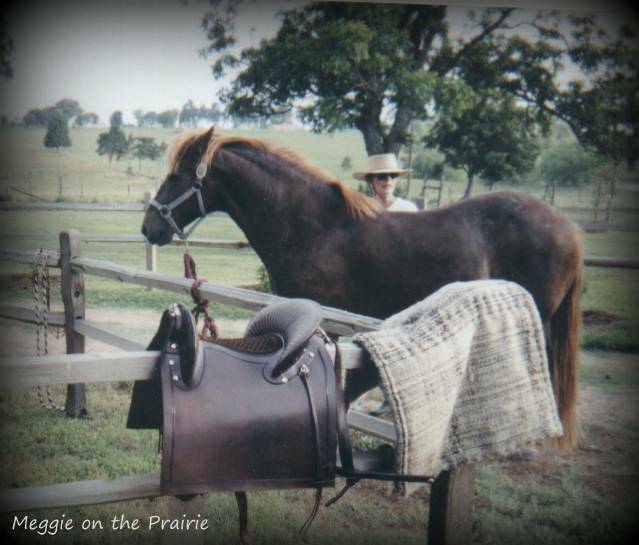 A beautiful Peruvian Paso horse was also part of my life. The sometime over-whelming part of this lifestyle is the fact that I still have an office in the city. So a few years back, with an up-coming birthday on my mind, I decided to move to a smaller place. It was time I started making more time for the fun things in my life, like painting, crafting, and some traveling. In the older posts, you can read about the farmhouse. My latest adventure is a 1930's Craftsman.....Click HERE to read about bungalow living ! Life is good. I'm still in the country.....still on the prairie. It is the most gentle ride one can have on a horse.